Before you wash the dishes, know this! When you’re washing dishes, make sure the water temperature is at least lukewarm. If not, you risk leaving behind microorganisms that’ll make you sick. That’s according to food scientists from Ohio State University. They say, water that’s at least 75 degrees Fahrenheit will reduce bacteria to safe levels. Because if you leave behind food remnants, bacteria, like E.coli, can grow – and your family will blame your cooking for giving them food poisoning – instead of blaming whomever was on clean-up duty. What’s the best way to dry your hands in a public restroom? The jet-air hand dryers in public bathrooms spread nearly 5 times more germs into the air than traditional air hand-dryers – and 27 times more than paper towels! That’s according to the Journal of Hospital Infection. And since 95% of people don’t wash up sufficiently after using the bathroom, those turbo-charged dryers are spraying things like E. coli and norovirus all over the place. So what can you do if it’s the jet-powered hand dryer or nothing? Grab a seat protector on your way out of the stall and dry your hands on that. Every time you touch cash or a credit card, you should wash your hands or pull out the hand sanitizer. That’s the recommendation of researchers at the London School of Hygiene and Tropical Medicine. The scientists found that more than 1-in-4 credit cards and $20 bills were contaminated with high levels of staph, strep, E. coli, and bathroom germs – levels high enough to make you really sick. You know those copper pots hanging above the island in your kitchen? Stop using them for decoration – and cook with them – to reduce food poisoning. New research from the University of Arizona found that when copper is heated, the oxidation process kills food poisoning bacteria – like E. coli and salmonella. 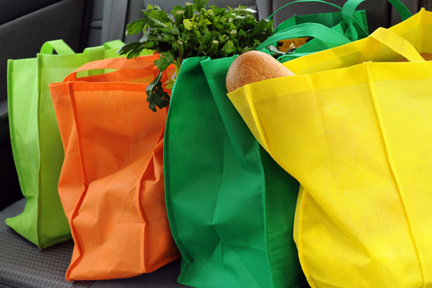 Have you “gone green” – using a re-useable bag when you do your grocery shopping? Those reusable grocery bags may be good for the environment but not so much for your health. Reusable shopping bags may be covered with germs. Our friend, microbiologist Charles Gerba, says reusable grocery bags can be contaminated with e coli because few people wash them out after carrying home their fruits and veggies and meat. So make sure you wash yours in hot water and dry it thoroughly before reusing it. If you plan on hitting the beach, beware of the sand! Researchers at the University of North Carolina found that digging in the sand raises the risk of diarrhea by 27%. For kids under age 11, that number jumps to 44%. Other studies have found high levels of E. coli bacteria in the top 8 inches of sand. In fact, levels can be almost 40 times those found in the water at the same beaches. The contamination may come from storm sewer runoff, or from the feces left by birds or other animals. 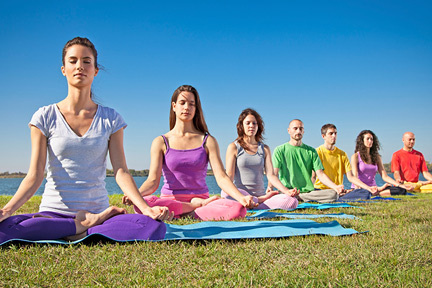 And once the germs are there, the sand provides a moist environment for the bacteria to rapidly reproduce. 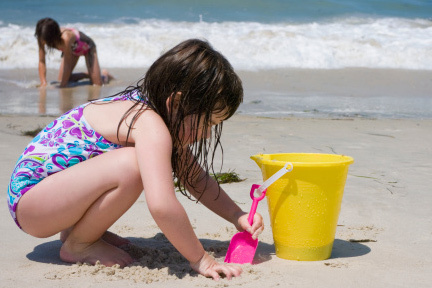 To stay safe, use hand sanitizer after playing in the sand or water, until you can get to a bathroom to wash your hands with soap and fresh water. If you eat lunch at your desk, you’re not alone. About 85% of workers do exactly the same thing. But that’s bad news, because the average desk contains 100 times more bacteria than a kitchen table – including illness-causing germs like salmonella and E. coli. 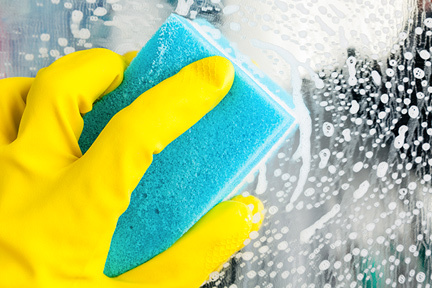 So, before you head to the fridge or the food truck to grab your lunch, clean your workspace with a disinfectant wipe.